Imagine for a moment it’s hard times. They’re not uncommon, times of economic cut back. And really, imagining this shouldn’t be too difficult. For many, it’s reality for now. No one can say who started the whole travel-from-home-to-the-grandest-of-destinations idea (the first human that realized there was a continuance of land beyond the river’s bend, I’d guess). Henry David Thoreau wrote tomes about exploration, never venturing far from Walden. Gustave Flaubert dreamt of the grit filled warmth of Egypt well before he actually ventured there. He was disappointed, I might add, with reality, as has been many a traveler upon physically landing at their fantasy destination. From the comfort of houseslippers and a favorite robe, our imaginations can operate like the transporter in a galaxy class starship, or better yet, the Holideck (virtual reality on steroids). Disappointment is impossible – unless you care to program that in. I don’t. To celebrate our imagination and the capacity it holds within to take us without, The Fuzzy Slipper Travel Chronicles © will begin with the trip to Spain/Morocco that was recently canceled. I plan to vicariously live those 15 days through picture and guide books from the downtown library. Travel fiction? Indeed. 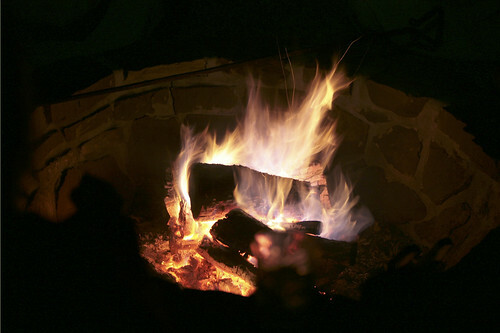 Roused by the fireflies in my backyard and the sparks now being coaxed from the logs ablaze in the firepit, it is the best time of year to dream. Don’t you agree? I’ll be posting The Fuzzy Slipper Travel Chronicles © : Spain/Morocco over the next couple of weeks. If you’d like to subscribe to this travel fiction series, click here for a RSS feed. I look forward to this trip, and I don’t even have to ‘brush up’ on the language!! And so many other places you can take us to…….gonna be fun! I’ve dreamed of this trip. Please take me there! Can’t wait.